We will work to find the perfect renewable energy source for your environment. Totalis customizes each system to meet each customer’s site-specific needs using a variety of renewable energy and energy efficiency technologies. Customers pay a set rate only for the energy they use at a substantially lower rate than their current electricity cost. Totalis handles all system management, maintenance, and repair allowing customers to focus on their business. The Totalis team of experts and licensed third-party contractors work with you to design and build your renewable energy system custom tailored to your specific business. You own the system and reap all the benefits. Lastly, our state-of-the-art monitoring lets us know if your system is operating at peak performance. You will enjoy the benefits of a low cost, worry free source of clean renewable solar energy. Please browse our design capabilities to view the design options and styles that will enhance your property and lower your energy costs. 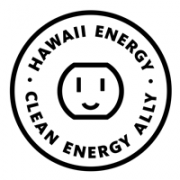 We are a Clean Energy Ally of the Hawaii Energy Program.